Lots of events and classes going on at our Lawrenceville location. 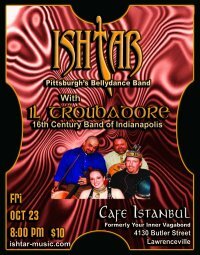 Check out its own site at http://www.istanbulpgh.com/ for more including belly dance class with Janim tonight and Ishtar, with Janim and Unsuk, on Friday Jan 22nd. Still having after-hours with 25% of the door going to Haiti for the next five Saturdays. We’ve been in the news lately as well, check out the Press page for the latest. Some businesses closed down, some got bricks through their windows, Istanbul Grille got on tv feeding the birds the excess food due to slow business caused by the G-20. We hope you had a safe G20, and that the world saw how great Pittsburgh is, but we’re glad to get back to business as usual! Sorry for the inconvenience, we have had to close our Shadyside location. Thank you for your support and your continued patronage. 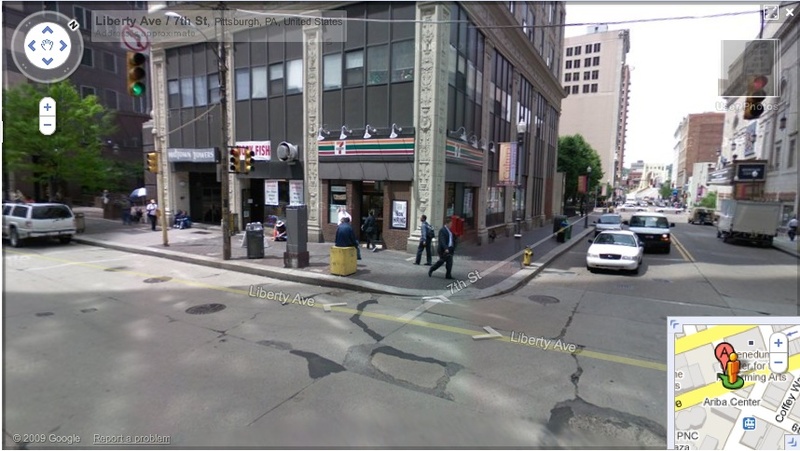 Please stop by and visit us for lunch at our Downtown location (643 Liberty Avenue). It is at the intersectino of Liberty Ave & 7th Street, catty-corner from the Wood Street Station, where Moby Fish used to be. 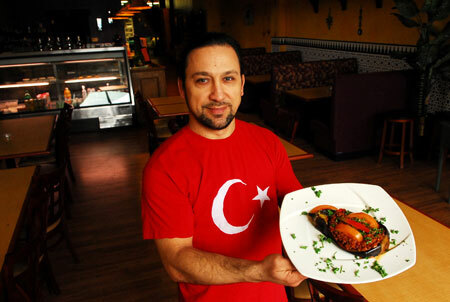 The Istanbul Grille satellite Turkish lunch counter is now serving at 643 Liberty Ave. This is near the corner of Liberty and 7th street, next door to the 7-11 and cattycorner from the Wood Street T Station (at wood & 6th ave). The Turkish food is takeout style with hot and cold dishes available. You can eat in as well, but seating is limited! The reviews are coming in already– check them out!! !